Emergency services vehicles are pivotal to BRUDER. The new MB Sprinter ambulance has now been added to round off the range. 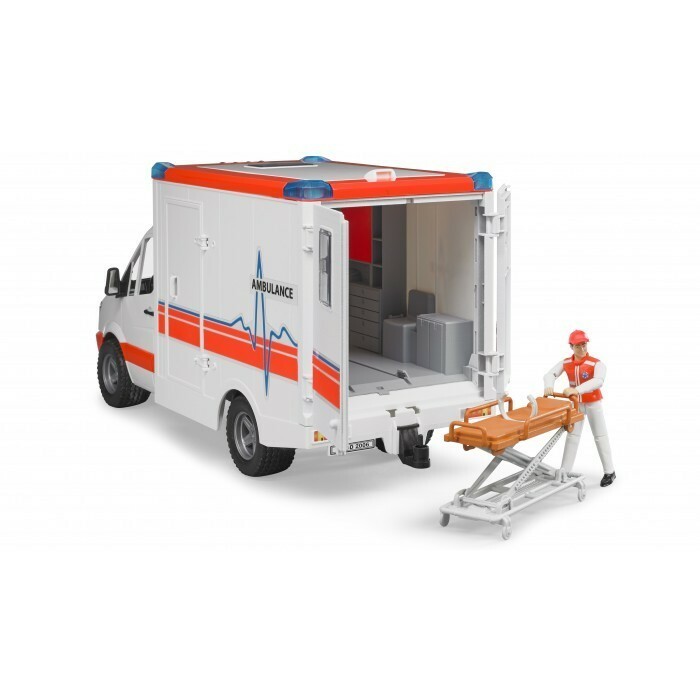 When recreating an emergency situation, this vehicle with its many functions is paramount. The paramedic (included in the delivery scope) can access the cab using the opening doors. Thanks to the new light and sound module featuring various siren signals and lighting functions, the ambulance will quickly and safely reach any incident. 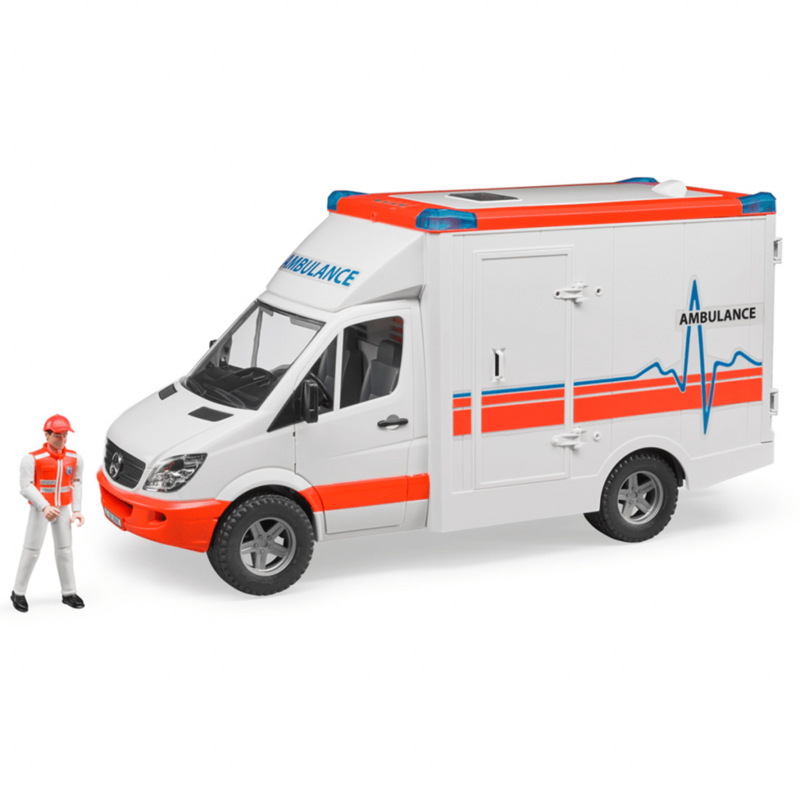 The miniature paramedic gains access to the cutting-edge treatment area through the opening rear doors and side doors as well as the removable roof module. 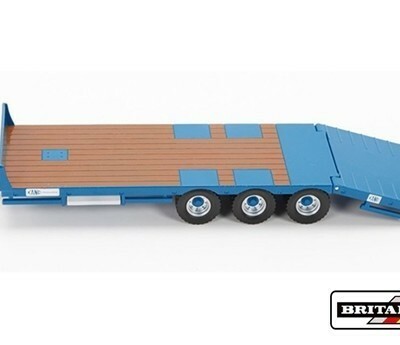 Any bworld figure can be safely transported on the height-adjustable stretcher that moves in and out of the vehicle, fully in line with Bruder’s motto – just like the real thing. 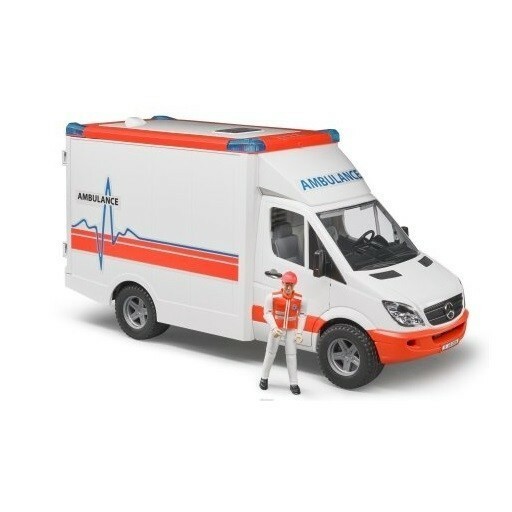 Enhance the value of this great vehicle with accessories set 62710 consisting of a paramedic and patient.